World Jewish Congress says that in light of recent events, Montana must ban the armed march. Ronald Lauder demands that Montana state authorities immediately outlaw the armed march being planned by neo-Nazis in the town of Whitefish on January 16. Lauder, president of the World Jewish Congress, says that given recent political and terrorist violence in the U.S. and around the world, the "dangerous and life-threatening rally that puts all of America at risk" cannot be allowed to take place. “When notorious and self-professed neo-Nazis announce that they are planning to march through a town carrying ‘high-profiled rifles’ in an action targeting ‘Jews, Jewish business, and everyone who supports either,’" the WJC statement said, "the local authorities must respond with quick alarm and vigilance. “This rally crosses the line between freedom of expression and incitement to hatred… There has been an upturn of late in public expressions of anti-Semitism and hatred of the other. It is unacceptable, and unfathomable, that such incidents could happen in America." The WJC acknowledged that the neo-Nazi march in Skokie, Illinois, in 1977 could not constitutionally be stopped, but that the situation today is different: "In Montana today, it is legal to openly carry a weapon. And the America of today has seen far too many mass and targeted shootings of innocent people, far too many expressions of violent bigotry and lethal hatred, to sit by quietly and debate the constitutional right of armed militants to march against the Jewish people and ‘anyone that supports’ them." 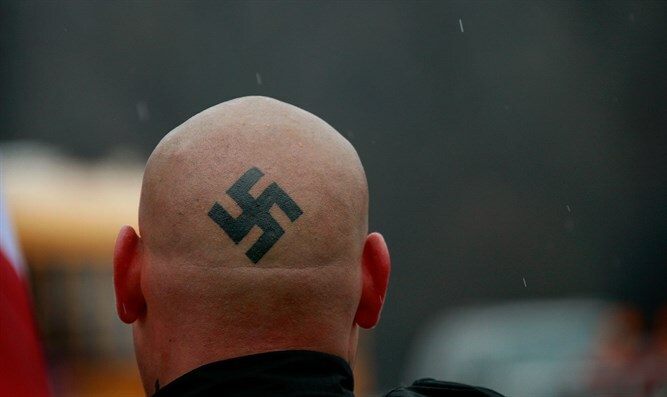 “All around the world," Lauder stated, "from the Jobbik Party in Hungary to the Golden Dawn in Greece, fascism is on the rise… Inflammatory rhetoric on the part of White Supremacists, whether targeting Jews, Blacks, Muslims or any other minority, can all too easily turn into incitement to violence and worse. ‘Constitutional’ hate speech can far too easily turn into unspeakable atrocities." The neo-Nazi rally is being organized by neo-Nazi website The Daily Stormer, and a representative of Hamas will address the participants on the topic of the "international threat of the Jews." Several hundred Jews live in Whitefish and environs.